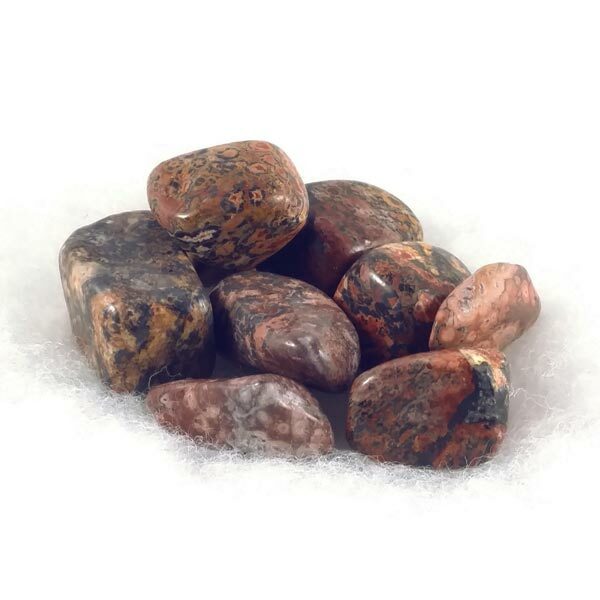 Leopardskin Jasper healing tumbled gemstones. Each is beautifully colored and patterned. 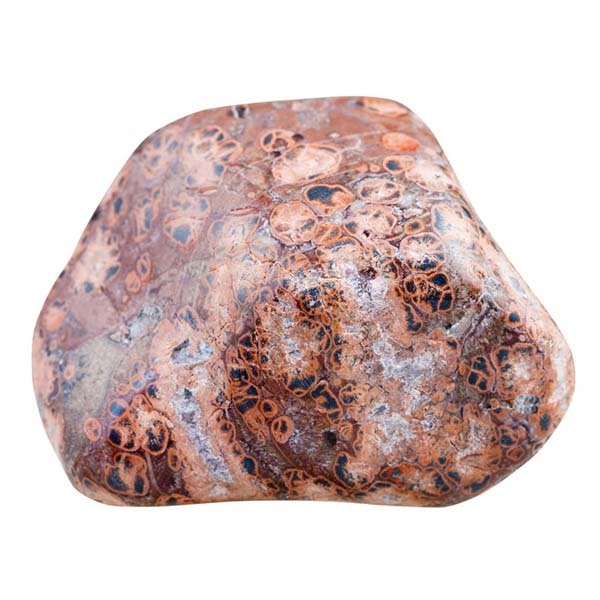 Leopardskin Jasper provides an open mind so we can discern what we really need from what we think we want. It also helps to change the areas in our aura to reflect those needs and helps attract what is required. Our 'aha' moment can be provided from many forms and outlets which we can only discover from having an open mind. Size: 1 inch with some lightly larger.